Press the button on the bending adaptor to open it. Screw the bottom of the bending adaptor clockwise to iStick with the attached small tool. Screw your atomizer onto the adaptor. 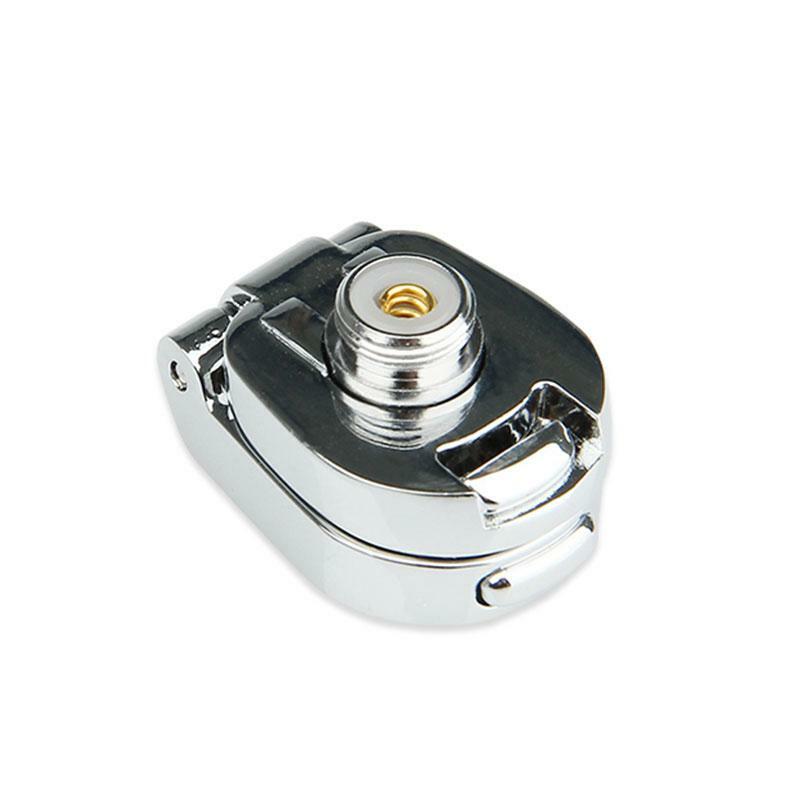 Through pressing the button of the adaptor, one can easily flip the atomizer by 180 degrees. Tips: According to our test, we suggest you attach the adaptor above the iStick first ( the bearing side towards the iStick screen); holding the adaptor and your iStick in position while screw on the adaptor with the tool by rotating the "cross-shaped"part clockwise till it's completely fixed. • It's not suitable for 50w istick, the cartomizer won't be vertical; when using with 30w istick, there is a little angle of tilt, also the diameter can not be over 11mm. Makes my vapouriser more portable than before. I use it with my K1 tank and 20W Eleaf Istick. Reduces the overall length to half when in operation. Eleaf iStick Bending Adaptor is a flexible adaptor. It is one of the quality product of Eleaf company.